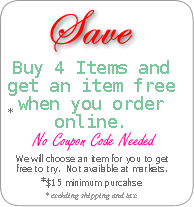 The Natural Cottage - Login - All Natural Homemade Soaps, Lotions, Detergents, Body Butters, Fizzies, Crafts and More! Every item that you purchase from The Natural Cottage is made to be the best you will ever purchase. Our gaurantee to you is just that. If you ever purchase an item you are just not happy with, please ContactUs and we will create a perfect substitute formulated for your skin type. Each bar of homemade bar soap that we make should last at least twice as long as the store bought bar soap that contains all the chemicals. Home made bar soap costs less in the long run than store bought soap.